William Henry decide to move into jewelry making utilizing their knowledge of advanced machining, craftsmanship and materials of knifemaking. 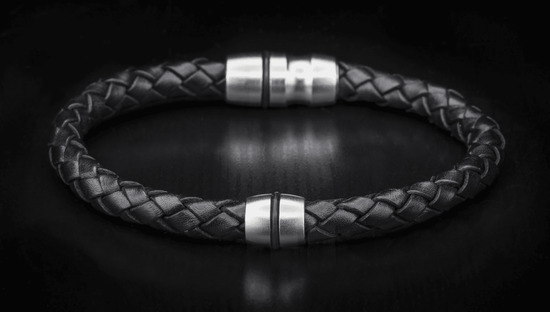 This LB1 bracelet is fitted with satin finished stainless steel and is a rugged 1/4" diameter black braided leather. Total closed length of 8 3/4". 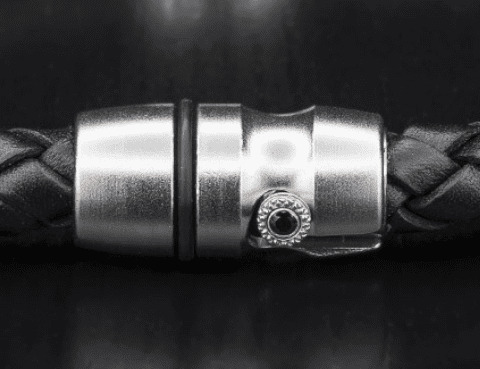 A distinguished feature of the this bracelet is the bolt action clasp that securely holds it in place. A perfect masculine addition to your everyday wear. The William Henry bracelet comes attractively packaged and new from an Authorized Dealer. Order with a satisfaction guarantee and same business day shipping.